Anxious to try the series, it sounds like perfect summer reading. I won the second one from LT. Haven’t gotten it yet. Wondering if I too should buy the first. Glad to know you liked it. 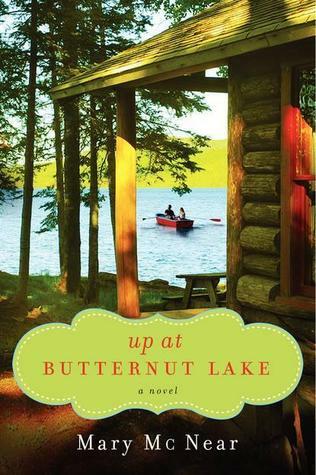 I’m guessing it wouldn’t be necessary but Up At Butternut Lake (eBook) is $1.99 at both B&N and Amazon right now. Good to hear your take on this book, it is on my shelf. This sounds like a sweet series. I’m anxious to give it a try. I love the cover and the idea of this kind of setting as the perfect place to heal. I have this one on my list….and now that I know it’s a series, I’d better add the others. Hi, Mary. I’ve been on break but have returned. Up at Butternut Lake sounds like a lovely book. I got a copy at this at BEA! Can’t wait to read! I adore second chance stories. Glad you liked it! I picked it up as a Nook deal not long ago. That cover makes me crave a vacation!